Happy Monday! I have a feeling that this post might just make your Monday a little brighter. One of my absolute favorite things in Hudson’s closet are his moccasins by Freshly Picked. These moccs are loved by moms and kids across the country. Everyone is flipping out over these moccasins, and for good reason! 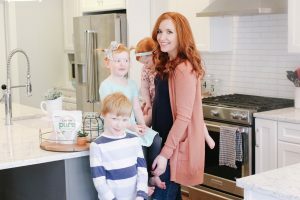 They are really well made, stylish, and too cute for words! See what I mean? No. Words. You can view the newest selection of Freshly Picked moccasins here. I want them all! Hudson loves his moccs! We have the butterscotch color (no longer available) and I love how they go with basically everything in his wardrobe. 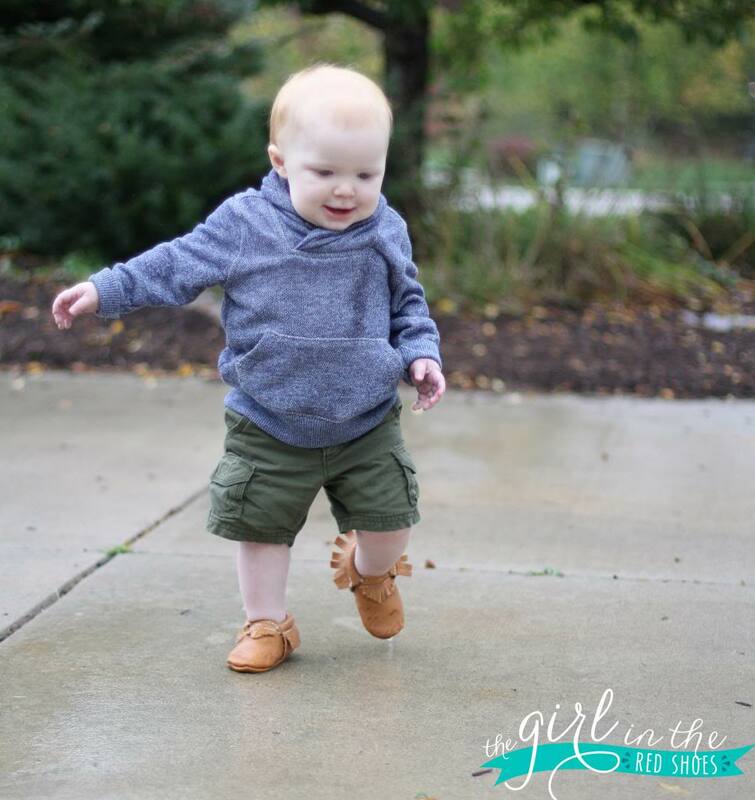 The moccs are comfortable and conform really well to his little feet. 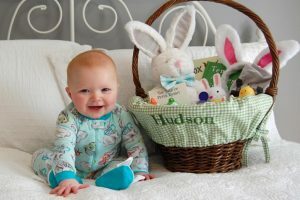 Hudson wears them everywhere….and every single time he wears them someone asks where we got them. 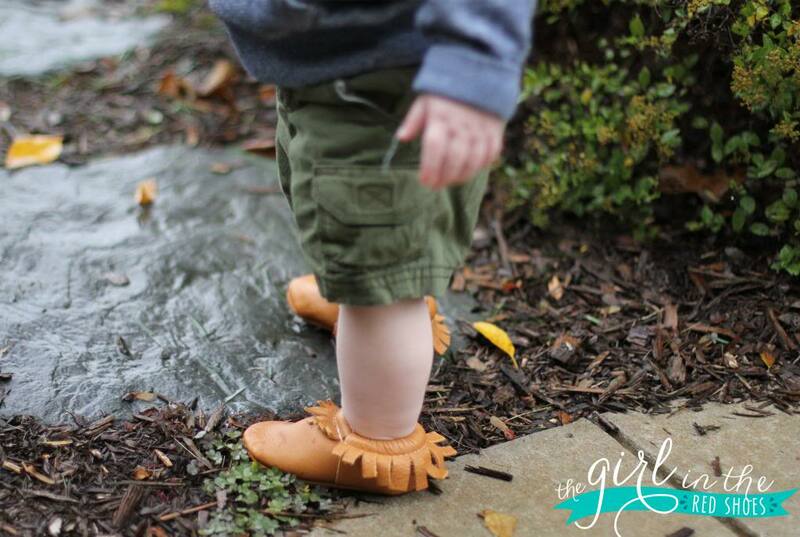 Freshly Picked moccasins are great for new walkers AND busy toddlers. So…you know I love them. Now I want one of you to be able to love them too! 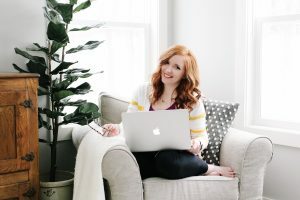 Susan, the owner and creative mind behind Freshly Picked has generously offered to give one The Girl in the Red Shoes reader their choice of moccs! I told you today was a going to be a great day! 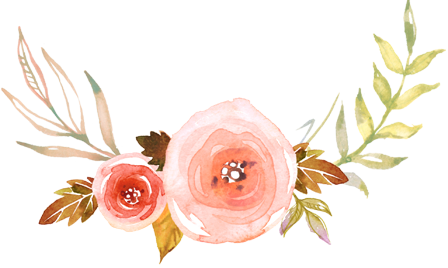 Visit Freshly Picked to view all of the amazing color options. Hudson totally needs the turquoise and copper pairs. I’m in love. If you follow me on Instagram (girlintheredshoes) there will be an additional way to enter…so stay tuned! I would definitely get the metallic golds for my daughter! OHH i love them all!! I would LOVE the ox blood or walnut color for my little one. Thanks for the giveaway! I absolutely LOVE the copper pair!! I love the weathered brown mocs! My little guy would look so cute in them! Ox blood or smoke! These are too cute for words! I would go basic and get the elk hide! These are so cute! I would love a pair of the weathered brown moccs! Susan is the biggest inspiration! I'm in love with these mocs. I would get gold or silver leather ones. SO cute! I'd pick the blush mocs! I would choose the sand suede pair! Great for fall! Yay so fun and so so cute! Hudson is rockin those mocs! 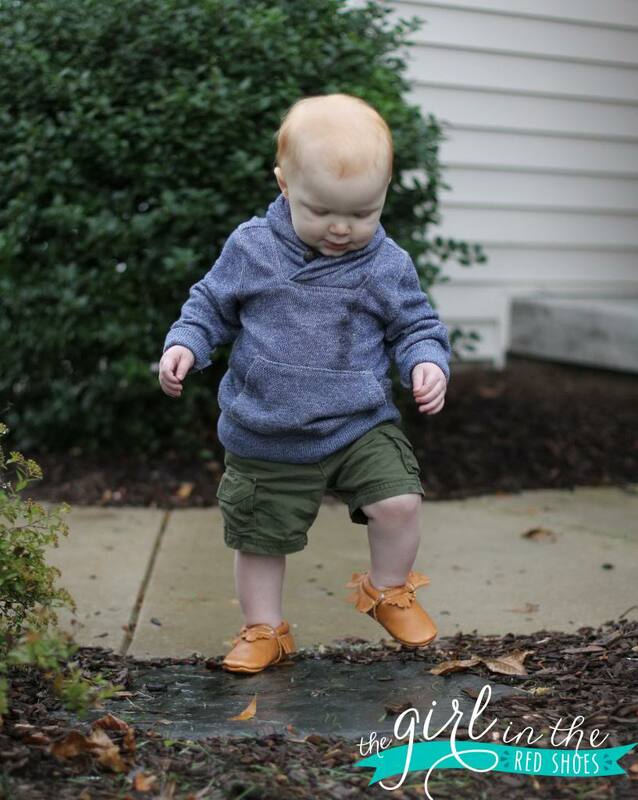 I love love those mocs and would love the Prince George ones for my son Ryder! Oooo So hard to pick! I think I'd choose smoke. They'd go with just about everything my little man has. If I had a little girl, I'd be choosing the gold ones. SO cute! how cow, great giveaway!!! We LOVE our platnium moccs and I'm sooo sad the blush is sold out in small sizes, wanted some for Kenley. Thinking about getting a pair a size up for Ashlynn for when she grows out of hers! I have been drooling over these for months, in anticipation of Baby L's arrival… So hard to choose just one pair, but I would have to say that I LOVE the Ox Blood and the Red Rock Suede! They would be the perfect colors to bring Fall to this Florida weather 🙂 Thanks for hosting!! Obsessed with Freshly Picked! I would choose the cobalt! I'm overwhelmed trying to pick, I think if I actually won I'd have to get my husband to choose between elk hide, pumpkin and copper. I need the blush pair for my little girl! So cute!!! Would love these for my little girl! Love them all! We would get he Walnut color! Oh please pick me! Love love the copper! I have been wanting a pair of these for my daugher for months! I love the red and the copper! Either the Prince George blue or the walnut! I love these so much! I love the blue suede! I LOVE these! They would be so perfect for my little guys 1st birthday! I would pick the weathered brown! Love love love these!! I love all of them but my favorite is platinum, which is often sold out, and the chrome!! I think the dark brown ones are my favorite…but I think my bigger problem will be deciding if my toddler or new little guy will be the lucky recipient if we win! I have no idea which ones I would chose. I love them all!!! Love these!! I would totally get the Walnut pair if we won! I have been wanting a pair of these so bad! Especially since they are made in my state of Utah! I am loving the Prince George color! Red Rock Suede, love them all! I would most definitely pick the gold in hopes of having a little girl some day! I've ALWAYS loved the gold ones!! Oh my word, so many choices. 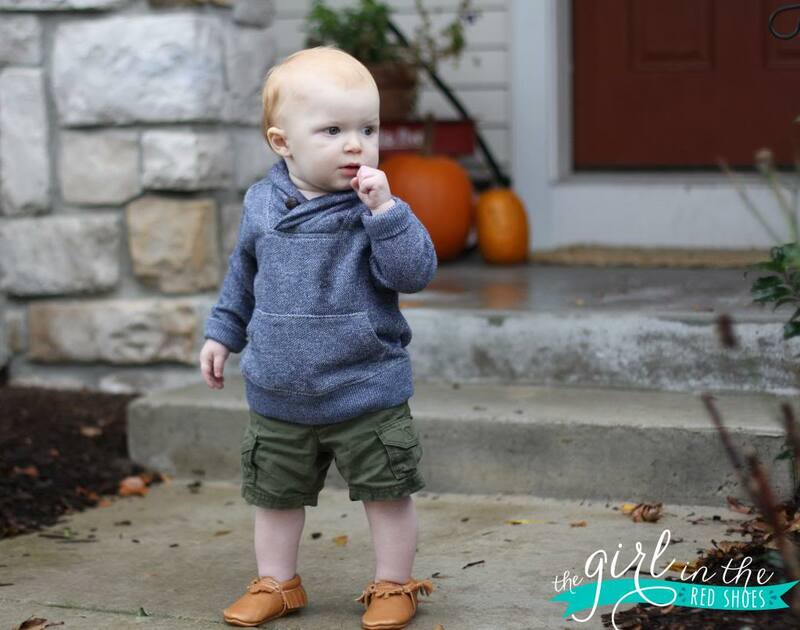 I've had my eye on these mocs for my little guy and this is perfect timing…he's on the go now! I would probably get the walnut or smoke ones, although I love the emerald and sapphire too! The weathered brown are amazing! I think I'd have to go with RED! The ebony or weathered brown are both so cute, I would love for my grandson to have a pair! Very cute. I think I like the Saphire pair for my little guy. 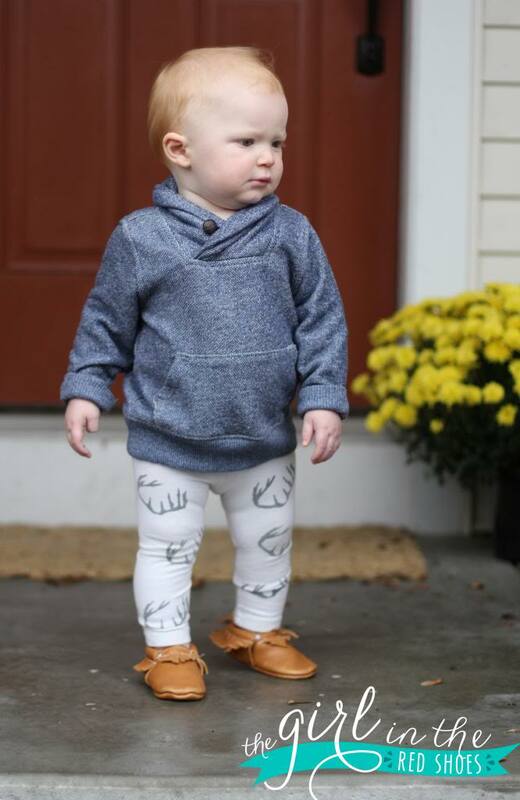 Julie, Hudson is seriously the most precious thing I've even seen in that hoodie with the leggings and the moccasins. Seriously. I just want to squeeze him!!! Copper for us too, so versatile! Love these mocs! I love the red as a fun pop of color to any outfit! It is pretty hard to pick just one! I've loved these since I saw them. I think my fave are the grass green…but the gold are a close second. So cute. I would choose the frosted pink which isn't even released yet!!! I am swooning over those!! We Love Freshly Picked! I really want the platinum for my baby # 2 coming next month (a girl). San Suede is adorable!! Love! It's impossible to pick just one!!! I'd have to choose between chrome or grape suede! Lovvvvvve FP!! Eeeeek! I would love any of them- they are all so fabulous! Love freshly picked! 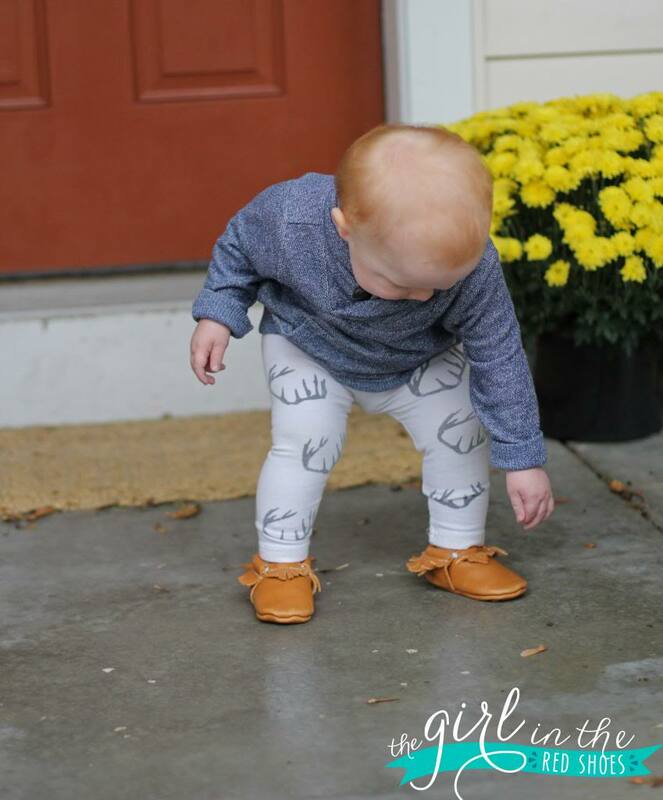 I would get the Prince George or Ebony moccs – so cute! I would get the ELK!! 🙂 So amazing!! I love them! I would like copper or elk hide. I love the gold ones!! ADORBS! Decisions, decisions! Love them All! I'm so in love with these for my 15mo!!! I would pick red or turquoise!!! Good Luck to everyone! I'd pick the Walnut color just because those would go with everything! I'd probably choose the sapphire. Love these, it would be so hard to choose, probably the cobalt! I love Freshly Picked! I would have to go with the platinum for our baby girl arriving in January or smoke for big brother! Oh I want them all! I'm totally diggin the lilac. So pretty! So stinkin' cute! My favorite pair are the "grape suede" my little girl would look adorable in these! 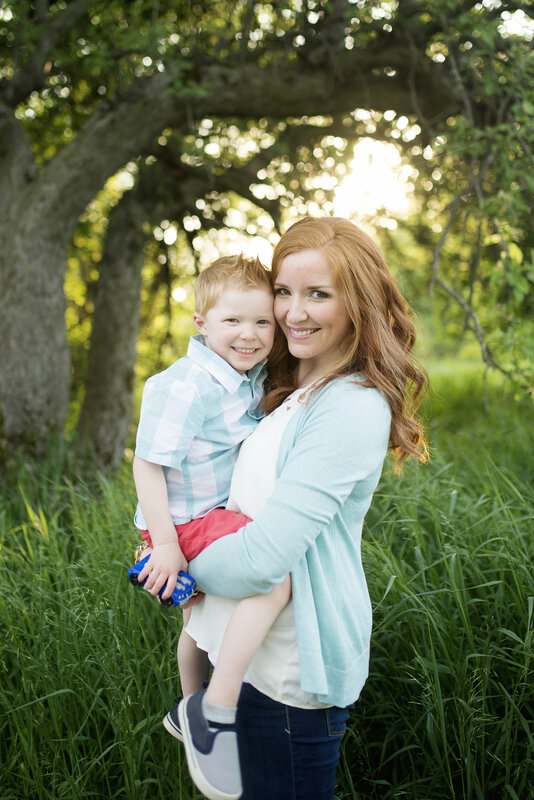 I love the Red Rock Suede or Smokey for my little 15-month-old strawberry blonde boy! They look cozy and adorable! These are amazing! I would go with the Walnut moccs!! Love them!! I would get the prince George! I would want the Prince George or Fools Gold! These adorable! I'd pick the gray ones for my little man. Oh my goodness, how adorable!! I definitely think my little daughter-to-be needs a pair. I would pick blush! Love the mocs! I'd totally go with the smoke for my little man! These mocs are super cute! So many cute pairs to choose, how will I ever decide which pair for my little man? I want them all! I love the blue suede ones! My daughter would look so precious in these. Your son is adorable! Too cute! Metallic gold for sure! Love these adorable moccs! I would choose the platinum. These are adorable! I need to get a pair for my little man. I have been wanting a pair of these forever! I love the chrome ones for my little!! I've been drooling over FP for a while now and need those platinum moccasins for Perry! I would pick red! So cute! Best giveaway ever! I've been wanting a pair for Cameron! I would definitely pick the red ones! OMG…adorable!!! I would so get the smoke ones!!! I go with the grey ones!! Soo cute!! I was just going to order a pair but would love to win some too! My son definitely needs some moccasins! He is just starting to learn to walk! Those copper moc's are amazing! Great for Fall! 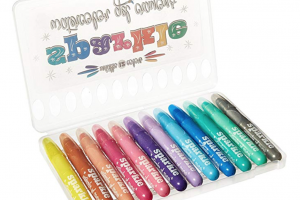 Great giveaway—love the lilac ones! I would love the lilac for my daughter, Penelli Plum!! They would look lovely on her little toes! I would get the smoke color! I love the limited addition copper shoes! I adore the Grass suede moccasins! I'm obsessed with FP! I would choose poppy! 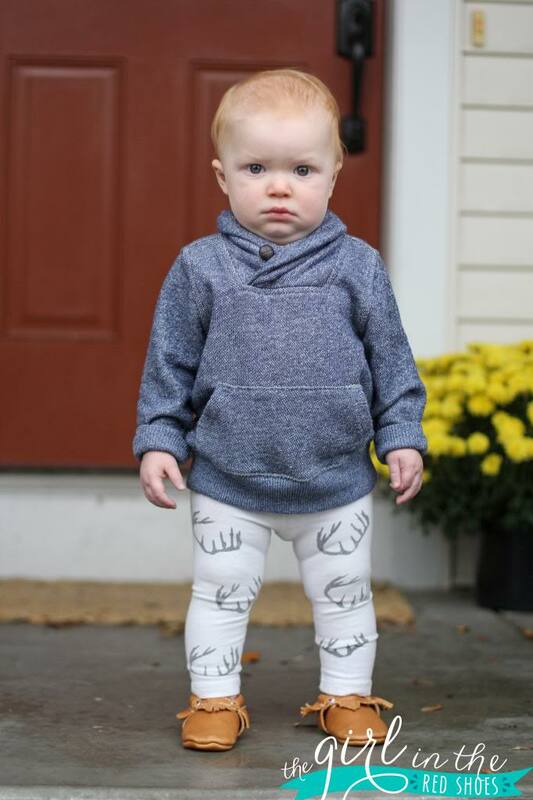 He looks darling in his little mocks and your DIY antler pants! I would pick the weathered brown pair. These are all so adorable! I have been wanting some Freshly Picked mocs for a long time! Love the weathered brown. Super cute – my one year old loves watching us put shoes on him. He tries and tries to do it himself but no luck yet. I would pick the gold! Love these!! I need the copper pair for my little guy! I love the Prince George ones…the color would go with so much! Love them all! But would have to go with the Frosted Rose or Platinum. Would love a grey pair for my little man! I have been eyeing the weathered brown for the versatility, but those Prince George babies have changed my mind. Love Freshly Picked, she's very inspirational! Definitely the grey! Love, love, love!